Today’s mobile users are spoiled. They demand rich, desktop quality experiences tailored to their devices and delivered at lightning fast speeds. And while these “always on” users represent a tremendous business opportunity, satisfying their high expectations requires overcoming complex mobile delivery challenges. In this e-book, we review three key mobile delivery challenges and explain how you can overcome them by optimizing for fast APIs, mobile apps, and mobile sites to increase engagement, revenue, and customer loyalty. 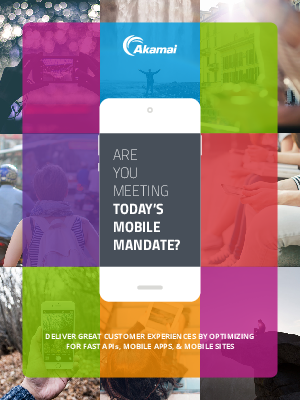 Download today to learn how your business can Meet Today’s Mobile Mandate.